Don't run to the hardware store every time you need the chain sharpened on your chain saw. A dull chainsaw wastes time and effort; not to mention what the safety hazard dull blades create. 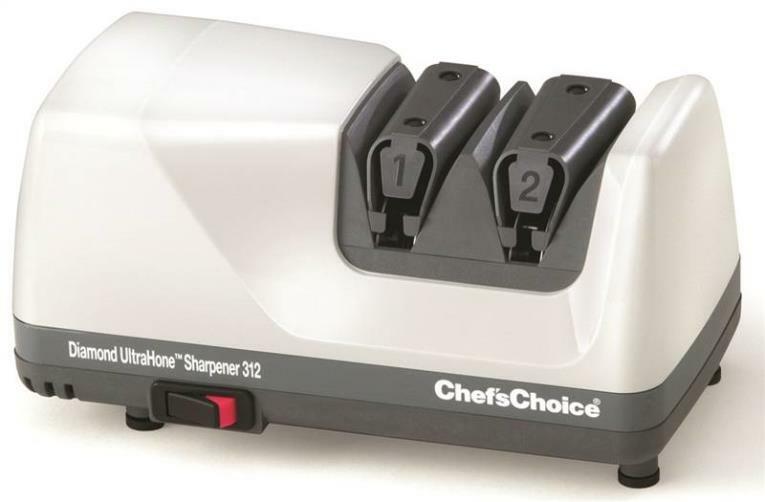 Save time and money by sharpening that chain yourself with the Pro-Series Electric Chain Saw Sharpener. 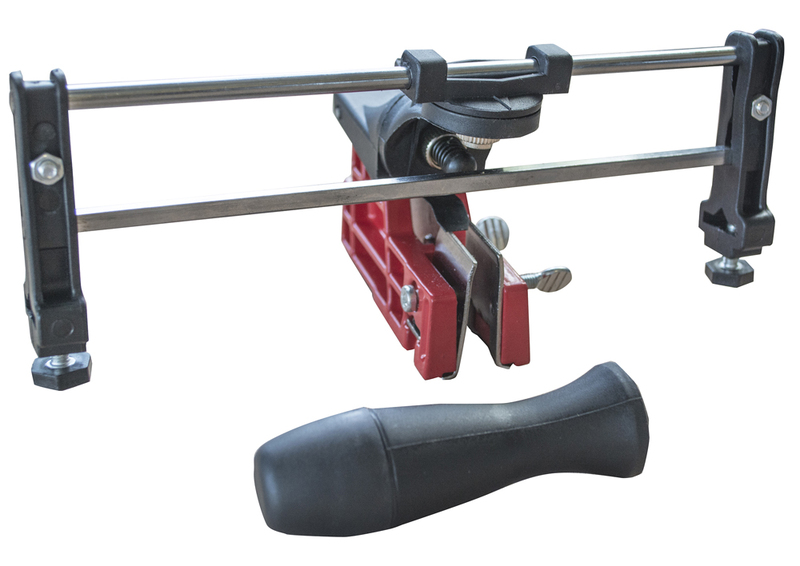 It is easy to use when mounted to a bench, wall or vise, and it adjusts most popular chain designs. The 4-1/4 in. x 1/8 in. grinding wheel spins at 4200 RPM to get the teeth good and sharp. Just plug into a standard 120 volt wall outlet. 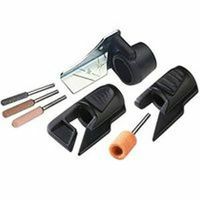 AXE & HATCHET SHARPENER Coarse and fine crystolon stone 85316-5 AXE & HATCHET SHARPENR SIZE:3x 5/8"
The Convertible Super (C+ Clamp Mount has a unique two-piece design featuring aircraft grade aluminum construction that allows you to attach your Lansky Sharpening System on vertical, horizontal or curved surfaces. 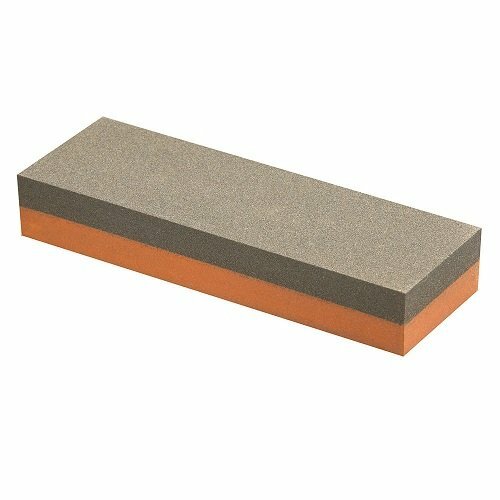 REPLACEMENT SHARPENING STONES Use with Oregon(R) electric Sure Sharp(R) - electric sharpener Card of 3 replacement stones 28840 5/32 IN. 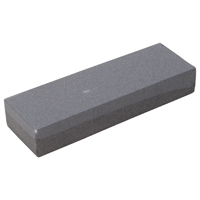 REPLACEMENT STONES SIZE:5/32"
REPLACEMENT SHARPENING STONES Use with Oregon(R) electric Sure Sharp(R) - electric sharpener Card of 3 replacement stones 28842 3/16 IN. 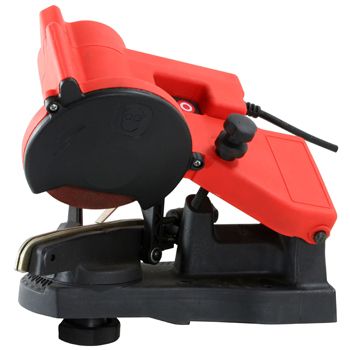 REPLACEMENT STONES SIZE:3/16"
Sharpen you chain saw correctly the first time, and every time, with the Sportsman Earth Series Bar Mount Chain Saw Manual Sharpener Filing Guide. 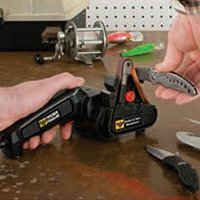 Keeping your chainsaw well sharpened is essential for safety, and the dial-set measurements on the Sportsman Manual Filing Guide eliminate the guesswork. All measurements are dial-set and then locked in, removing the irritation of trying to figure it out. Once all the angles, depths, and file heights are set, each tooth on the chain is sharpened the exactly as the one before, for precise and accurate filing. 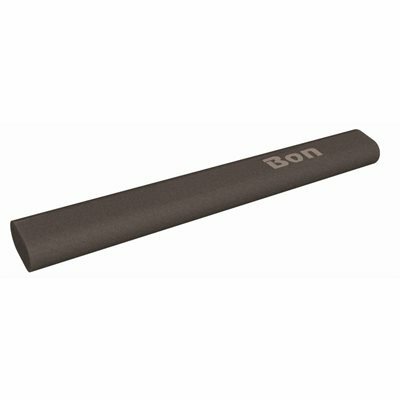 Works with most chain saws, but the round file must be purchased separately. 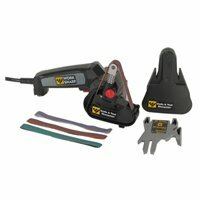 Use the Sportsman Earth Series Multi-Size Manual Chain Saw Sharpening Kit to keep your chain saw sharpened. The 7 piece hand-held portable kit is great to have in your tool bag when you are out on the site. Small and portable, it even has a heavy-duty nylon storage bag to keep everything together. Perfect for touch-ups and honing while on the job, the Chain Saw Filing Kit is designed to work with most chain saw brands and sizes. 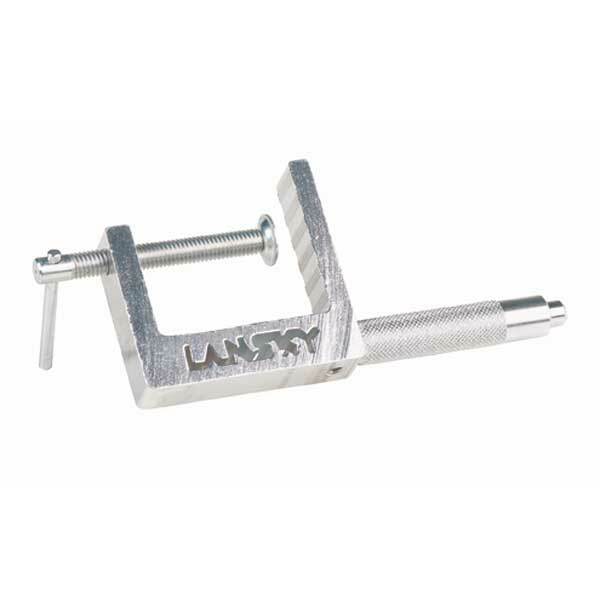 Use the depth and filing guides to remove the guesswork, and make sure your filing is accurate and precise. 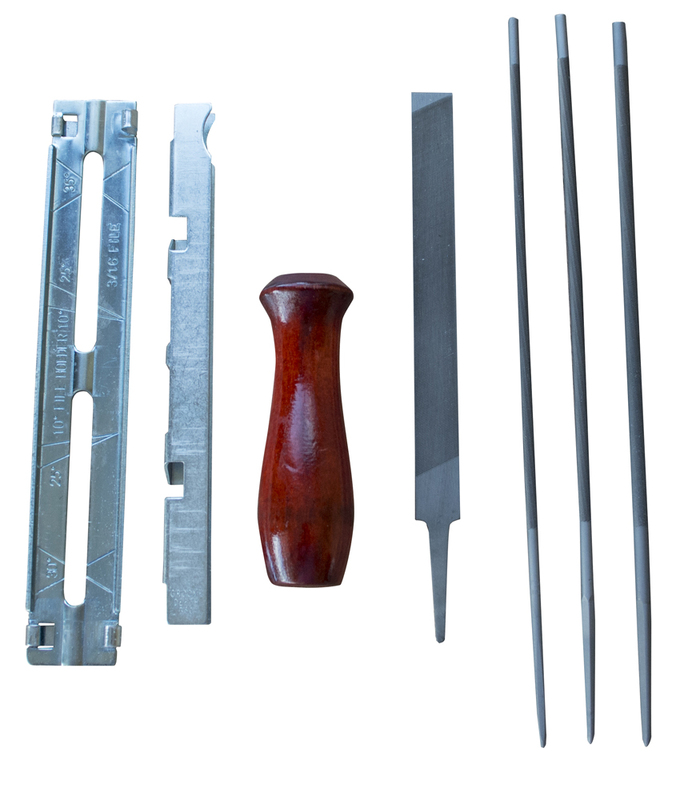 The 4 included files all fit into the wooden handle for comfort and ease of use. 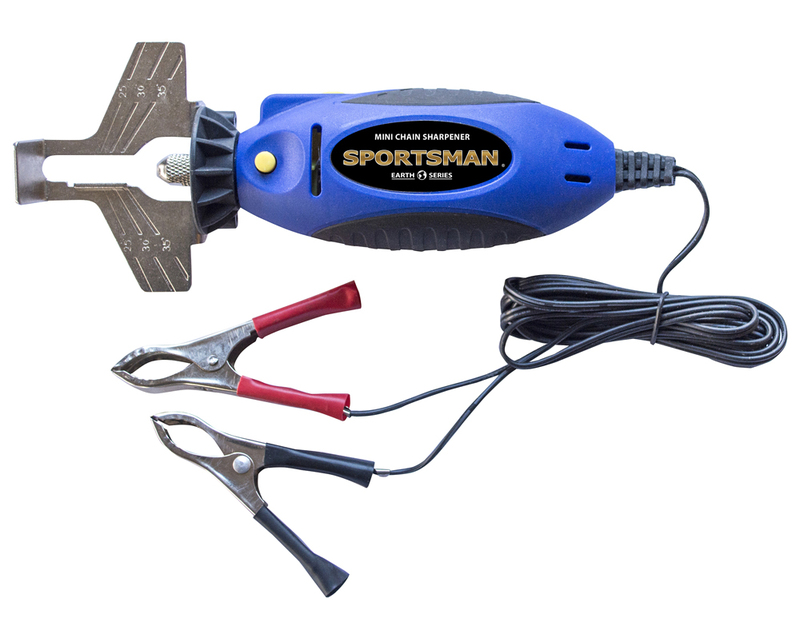 Use the Sportsman Earth Series Mini Electric Portable Chain Saw Sharpener to keep your chain saw sharpened. Great to keep in your tool bag, the Electric Chain File is perfect for touch-ups and honing while on the job. 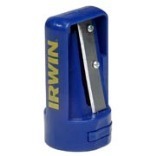 Running off the 12 volt DC power of your vehicles battery, the Mini Compact Sharpener lets you quickly and easily sharpens the chain on site. 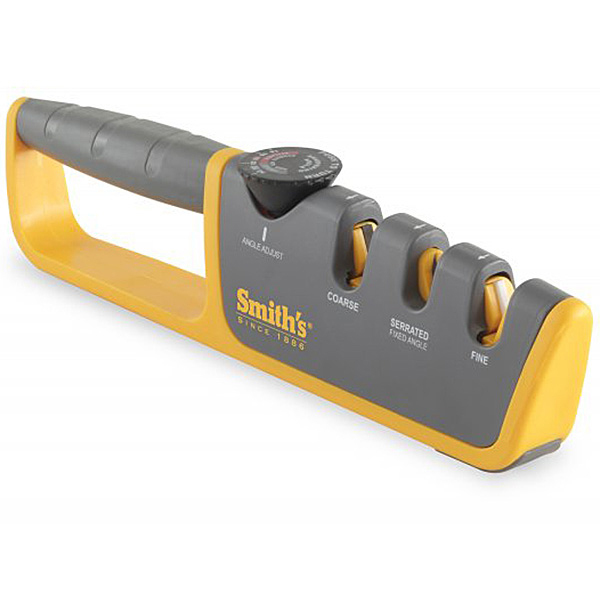 Measuring just 8 inches long, this small but mighty hand-held Chain Saw File runs at 25,000 RPMs and can accommodate most make and model chains. 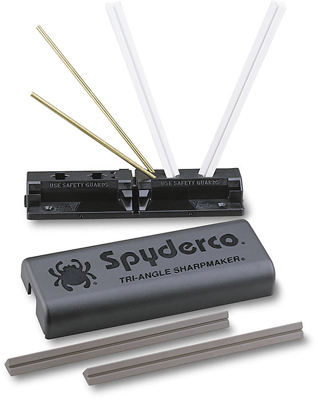 The Spydercore Tri-Angle Sharpmaker is perfect for keeping sharp blades, tools, and toys in optimal working conditions. Spyderco sharpener set is top notch. 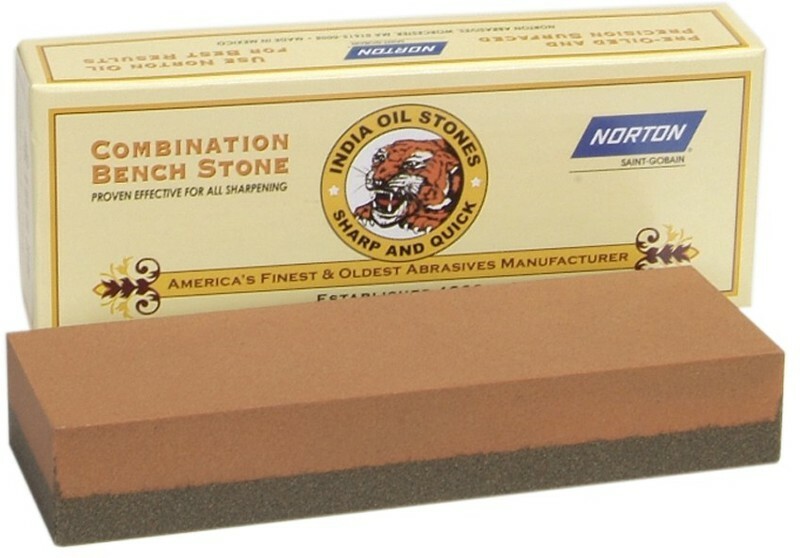 It includes 2 sets of high alumina ceramic stones, that sharpens plain and flat edges, awls, darts, fishhooks, and punches. All components snap into the self-contained ABS plastic base and lid, and are ready to travel. The base is drilled for bolting to tables or countertops for permenant attachment in shops or kitchens. It uses stones dry, without oil, water, or lubricants. 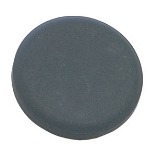 There are scrubs with plastic scouring pad and powdered abrasive cleaner, air dry. 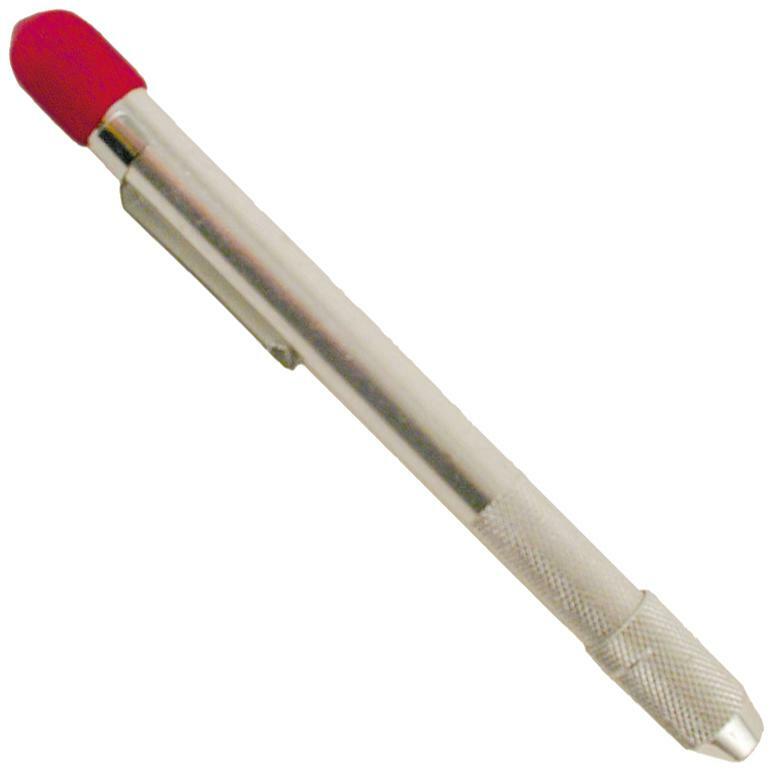 The large handle fits either hand safely and securely. The full length guard protects fingers. 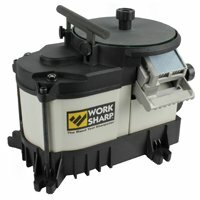 Sharpening blades are diamond honed tungsten carbide and provide years of reliable use. AccuSharp will not rust and can be cleaned with soap and water, or in the dishwasher. Special Features : Easy to use!